A glorious day treated the 20 butterfly enthusiasts gathered for a comparison of the butterfly communities of swamps and meadows in Petersham. 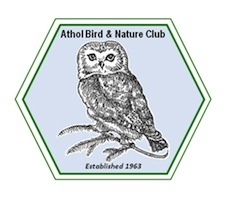 The Butterfly Institute is sponsored by the Athol Bird and Nature Club and the Massachusetts Butterfly club. A Mourning Cloak was spotted as the group made its way into the Harvard Forest. Butterfly Institute coordinator Dave Small led the group along a dirt trail through Tom Swamp where several Juvenal’s Duskywings were observed along with Tiger Swallowtails, Henry’s Elfin, Pine Elfin, a very rare Bog Elfin. Pearl Crescent, Arctic Skipper, Hobomok Skipper and several Azure species completed the tour of this interesting community of wetlands butterflies. After a quick lunch and Ice Cream Break at the Petersham General Store the group explored North Common Meadow, a property owned by the Trustees of Reservations . These magnificent meadows were alive with birds and butterflies. Bobolinks and Eastern Meadowlarks were heard calling as the group concentrated on the many butterflies. The first Monarch Butterfly of the Year for most in the group was tallied in addition to Clouded Sulphur, Juvenal’s , Dreamy, and Horace’s Duskywing, Common Ringlet, Pearl Crescent, Common Ringlet, Indian, Hobomok, Dusted, Peck’s and Arctic Skippers, Little Wood Satyr, plus Black and Tiger Swallowtails pushed the day’s species total to 19.